For much of the past year, I have been researching and writing up the story of my great uncle Ellwood Montagu with the help of my support worker, Valerie Smith. Ellwood was killed in 1918 at the age of 25 on the Western Front in France, towards the end of World War I. After chasing up information such as Ellwood’s war record and many visits to libraries and emails, I wrote up his story from when he joined the army in Hokitika in April 1915, through his travels to Egypt then fighting in France, where he died in April 1918. I often stayed up until 2 am in the morning writing up his story which I have called ‘The White Cross’. 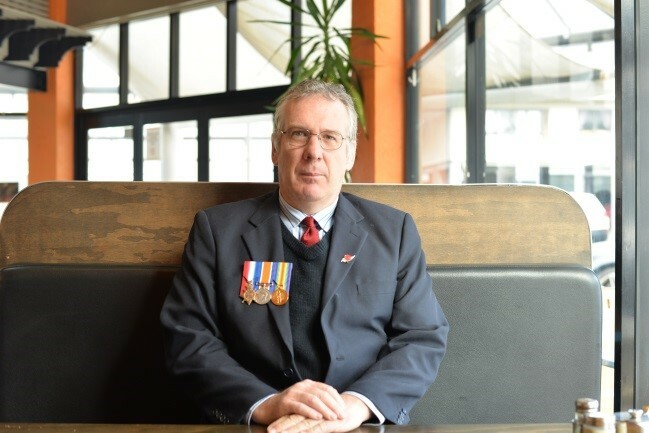 I read out ‘The White Cross’ on Wellington’s Access Radio on ANZAC Day 25 April. In July, the Cook Strait news had a story about my efforts and quoted from ‘The White Cross’. I don’t want Ellwood and all the young men like him who died to be forgotten. 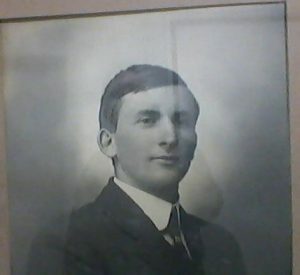 Ellwood Charles Douglas Montagu was born on 24 November 1893, son of Charles and Ida Montagu of Chesterfield, on the West Coast of the South Island. Ellwood was 5 feet and 9 inches tall, with a dark complexion, dark hair and brown eyes. After Ellwood joined the army in April 1915, he left from Hokitika. Many young men volunteered at this time as news of the Gallipoli campaign came back to New Zealand. Ellwood was put into the Rifle Brigade and sent up to Wellington to be trained at Trentham Camp before going overseas to fight. During training Ellwood got the measles and was sent to Palmerston North, to the Awapuni Convalescent Home from 23 July until 14 August 1915. With so many sick young soldiers, it was very important to get the sick men out so they didn’t infect the others. Ellwood had recovered before he embarked for Alexandria. Ellwood and his mates left Wellington for the last time on 9 October 1915 and set sail for Egypt as part of the 7th Reinforcements of the NZ Expeditionary Force (NZEF). The ships would have been cramped on their three months voyage with so many young men aboard. The first NZEF soldiers had left a year earlier on 15 October 1914, eventually ending up at Gallipoli. The boys who fought in Gallipoli between April and December 1915 had become weary, shell shocked, run down and half of them died. If they survived, later on in their lives they became old before their time. New Zealand sent fresh soldiers to fight in places such as Gallipoli and Egypt. Ellwood was one of so many young men to go to Egypt. When Ellwood got to Cairo he was appointed a cook on 11 March 1916. This would be at the training camp where they had well organised large kitchens. Can you imagine peeling potatoes as well as the washing up for 1000s of men? The newly formed NZ Division, including the Rifle Brigade, then went across the Mediterranean Sea to France to fight, and eventually up to the Somme battlefield. The Western front was a 700 kilometre front from the Franco-German Border to the English Channel. From Ellwood’s arrival in France around 6 April 1916, he was considered to be ‘serving in a field of war’. When they arrived in Marseilles, the NZ Division took a train north to Flanders in Belgium, part of the then Western front. There they had further training for 3 months on grenades, trench warfare, machine gunnery and gas masks. In 1914-1915, New Zealand was part of the British Empire. The NZEF was part of the NZ Division of the larger British Army. The British and the French and their allies were on one side and the Germans and their allies on the other side. There had already been many battles on the Western Front in 1915 at places like Verdun, and in 1916 at Ypres. By early 1916, the battle of the Somme had started. While in training and between periods at the front, Ellwood was once again appointed a cook or kitchen porter. Being a kitchen hand in my generation and peeling veges as I do, would be nothing compared to what my great uncle Ellwood had to do. The young men learnt they would be in the trenches a few days a month, then go back behind the battlefield. They did other duties while living in camps and hostels as well as in the villages. From 20 to 22 August 1916, the N.Z. Division moved from Armentieres south to Picardy and the Somme to join up with the British 4th Army as the battle of the Somme had started. The N.Z. Division Infantry went into battle near Flers on the Somme on 15 September 1916, and the Rifles also went into action in September. Ellwood served in the 1st Battalion of the N.Z Rifle Brigade, nicknamed ‘the Dinks’. The Somme was the first time the British rolled out their Mark 1 tanks, all 49 of them. The battle began again on 25 September 1916. The New Zealanders fought for many days, and all the young men would have been exhausted. 800 New Zealand soldiers lost their lives. 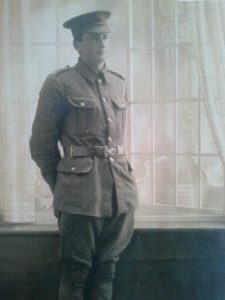 Ellwood was sent to Lewisham Training School in late 1916, probably for rifle training. Then he went back to Messines Ridge in late February 1917. His record says Ellwood absconded from the Catacombs on 30 March 1917. It may have been he did a runner because like many others, by this time he found war too much to bear – who knows? My great uncle Ellwood’s punishment was his pay was docked for a time. Ellwood was only given 14 days field punishment. Absconding was not uncommon for the young New Zealand men who fought in the First World War, when they were tired and battle weary. Their punishments were not usually too heavy. Certainly, they did not seem to hold absconding against my great uncle Ellwood. Did he argue his case? We will never know. From 7 April 1917, Ellwood took four days’ official leave. While at the front, young men were given leave for 8 or 10 days at a time every 12 or 18 months. Many went to England and stayed in a Club for New Zealand Soldiers called The Club Hostel. This was in Russell Square in London. As well as the Club Hostel, New Zealand had a lot of army bases and hospitals in England. While still in the trenches, Ellwood was appointed a Lance Corporal on 2 June 1917 and received some stripes. He was 24 years old. He was promoted to Sergeant on 7 November 1917, just before his 25th birthday on 24 November. There was a big British offensive in the summer of 1917. British tunnellers made tunnels and put mines in them, under the battlefield. At 3.10 a.m. in the morning of 7 June 1917, the mines exploded. In September 1917, Ellwood was sent to the 2nd Army Rest Camp, which was attached to N.Z. Wing 2 ANZAC Rifle Brigade. Ellwood rejoined his comrades after leaving the Army Rest Camp about 20 September. The battle of Passchendaele began on 4 October 1917, when the NZ Division attacked at Broodseinde. They had some success. But a second attack on Bellevue Spur on 12 October was a disaster. 800 New Zealanders, including many from the Rifle Brigade, were killed there, or died later. This was the worst single day in NZ military history. The Rifles had to be withdrawn on the 16 October 1917. It seems there was some moving around for Ellwood and his mates in the Rifle Brigade, so they could have some rest. He may have been injured by shelling or taken ill in November 1917. His medical service history refers to him having been in hospital about this time. The Rifle Brigade had to be evacuated on 22 December 1917. Ellwood had returned to his Brigade on 4 December 1917. In late 1917, men that had been in training and fresh from a break in England or in an army camp were sent back to fight on the battle field. From November 1917 to early February 1918, the N.Z. Division was in the front line in Flanders, at Ypres. They held the line at Broodseinde Ridge in winter in late 1917. After the battle of Passchendaele, there were setbacks for Britain and her allies. After the Russian Revolution, Russia pulled out of the war and made peace. This meant that more German troops came back to fight on the Western Front. A hard winter lay ahead. In late March 1918 the Germans launched a huge offensive to try to win the war. The NZ Division was rushed south from Flanders to plug gaps near Mailly Maillet on the Somme. New Zealanders played an important role in stopping the German advance. On 5 April the Rifle Brigade defeated another German attack at Colincamps. Tragically Ellwood died that day, 5 April, in the middle of the action. According to his record he had spent two years and 312 days at war – and 910 days overseas. Following the failure of the German offensive, the Allies regrouped and in July 1918, went on the attack. Once again, the NZ Division playing an important part. The Germans were pushed back and in the face of defeat, finally agreed to an Armistice on 11 November 1918. He was awarded several medals after his death: the 1914-1915 Star (for Egyptian service), one for his N.Z.E.F. Service, and the British War Medal (as the NZ Division was part of the British war effort). The medals were eventually sent to his mother, my great grandmother Ida. In his will, he had nominated her to receive his estate if he died before her. My great grandmother would also have received his war gratuity, as well as a plaque and a scroll certificate of his death. 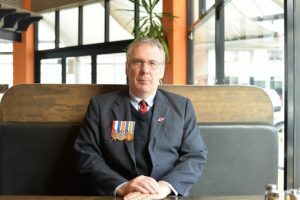 I am very proud to be one of his great nephews and to have been inspired to tell others about his war time experiences and fighting for his country. Ellwood’s final resting place and headstone are at the Euston Road Cemetery, Colincamps, the Somme in France. Here lie the boys. Have we not leant from history? Lest we forget – let not the young of today’s generation and generations to come join in any wars. A big thank you to my cousin, Ellwood Junior, for giving me permission and his blessing to write this book on Ellwood Charles Douglas Montagu Senior. Without his blessing, this book would not have been written. I have also learnt that Ellwood Junior’s father was my great uncle John. Thank you also to Valerie Smith for helping me with this book, and to my stepfather Ian Johnstone for helping me get my script ready to read on Access Radio. Thanks also to Alexander Turnbull Library, Auckland Museum, Hokitika Museum, Archives New Zealand, the Ministry of Defence, the Dominion Post and many others who have given me information and assistance. Finally, big thanks to Damien Fenton and others whose magnificent book on the First World War helped round out the role of the NZ Expeditionary Forces during the time Ellwood was at war. And to Dr Neill Atkinson, Ministry of Culture and Heritage for making sure I had the facts right.